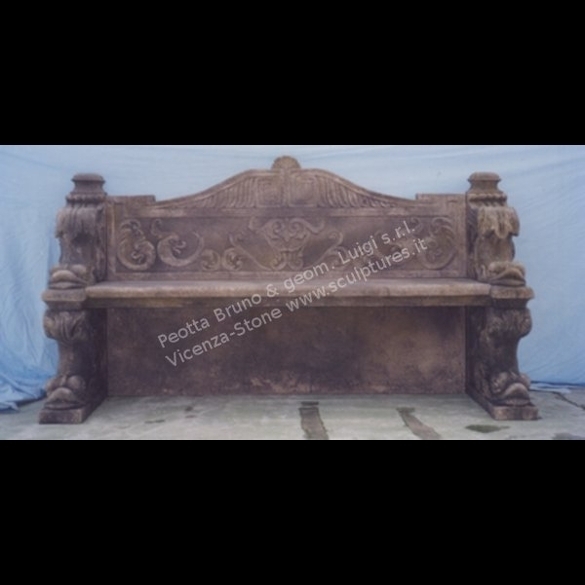 A nice straight bench with back. On the back panel are carved dolphins figures, two dolphins on each sides and hand carved dolphins base. The panel has a shell in the centre; leaves and drapes decorations. 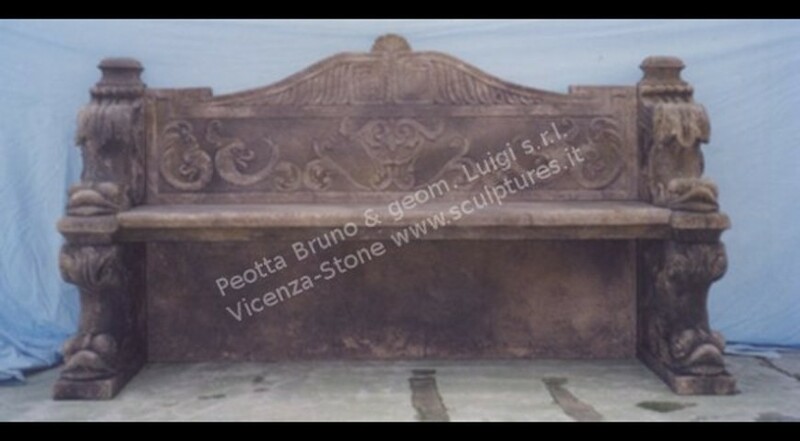 Hand carved bench from antique drawings.